Nantucket Post Cap Monterey Slip Over Post Caps for Wood Posts | Hoover Fence Co.
Nantucket Monterey Slip Over Post Caps slide over the top of the post, bottom trim overlaps the post. Sizes are offered to fit nearly any size post. The sizes shown are the actual measurement of the post itself. Measure your post and order the size that matches your post size. All of our products are produced from the finest grade of Redwood or Western Red Cedar and sold “natural”. Our wood products may be treated with a clear sealer to preserve the natural wood color while protecting them against the elements. The red cedar and redwood can be painted or stained as well. 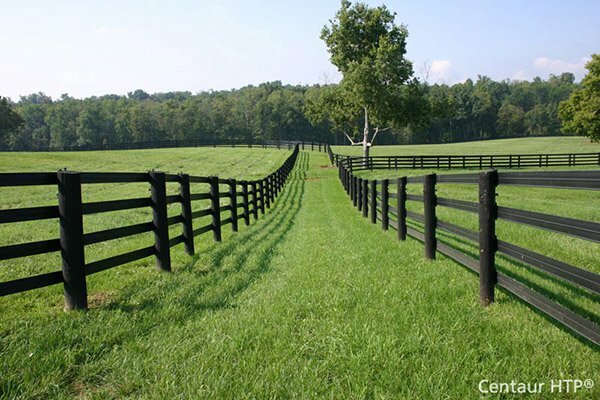 A marine grade adhesive can be used to fasten wooden caps to the fence posts. Materials - All of our slip over post caps are available in clear, vertical grain, kiln dried, Redwood and Clear Western Red Cedar. These wood types are best known for their durability in harsh environments, and their beauty. Construction - Slip over fence caps are crafted using a 5 piece construction with V-nails in each corner of the molding. 12 or more stainless steel staples are used to permanently fasten the molding to the underside of the wooden post cap. Installation - For a nail-free look, simply apply an exterior marine adhesive like 3M 5200 to the top of the post and slip the post cap over. Stainless steel nails may be used as an alternative, but not necessary. Sizes are offered to fit nearly any size post, between 3-1/2" up to full 10"
Post Sizes: 3-1/2", 3-1/2" x 5-1/2", 3-3/4", 4", 4" x 6", 4-1/2", 4-3/4", 5", 5-1/2", 5-3/4", 6", 6-1/2", 7", 7-1/2", 8", 8-1/2", 9", 9-1/2", 10"
Note: Caps are 1/8" larger than post to allow for natural post swelling. 3-1/2" 5.75" 5.75" 2.5" 1.1" 1.0 lbs. 3-1/2" x 5-1/2 5.75" 7.75" 2.5" 1.1" 1.0 lbs. 3-3/4" 6" 6" 2.5" 1.1" 1.0 lbs. 4" 6.25" 6.25" 2.5" 1.1" 1.0 lbs. 4" x 6" 6.25" 8.25" 2.5" 1.1" 1.0 lbs. 4-1/2" 6.75" 6.75" 2.5" 1.1" 1.0 lbs. 4-3/4" 7" 7" 2.5" 1.1" 1.0 lbs. 5" 7.25" 7.25" 2.5" 1.1" 1.0 lbs. 5-1/2" 7.75" 7.75" 2.5" 1.1" 1.0 lbs. 5-3/4" 8" 8" 2.5" 1.1" 1.0 lbs. 6" 8.25" 8.25" 2.5" 1.1" 1.5 lbs. 6-1/2" 8.75" 8.75" 2.5" 1.1" 1.5 lbs. 7" 9.25" 9.25" 2.5" 1.1" 1.5 lbs. 7-1/2" 9.75" 9.75" 2.5" 1.1" 1.5 lbs. 8" 10.25" 10.25" 2.5" 1.1" 1.5 lbs. 8-1/2" 10.75" 10.75" 2.5" 1.1" 1.5 lbs. 9" 11.25" 11.25" 4" 1.1" 2.0 lbs. 9-1/2" 11.75" 11.75" 4" 1.1" 2.0 lbs. 10" 12.25" 12.25" 4" 1.1" 3.0 lbs.